Last week, the Belarusian Supreme Economic Court approved recalling the license of a major Minsk-based publishing house. The government apparently shut it down for publications which seemed too political. This decision dealt a serious blow to Belarusian-language culture since few publishers have produced as many books in Belarusian as the Lohvinau publishing house did. 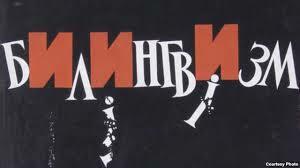 A major victim of the political confrontation is the Belarusian language. The total circulation of books in Belarusian in the 2010s constituted just a third of the level under Soviet rule. The Russian language is a monopoly in Belarus. A sad fate for a country which between the world wars had four official and effectively functioning state languages. The Belarusian language-based culture struggles to withstand the pressure from Lukashenka's government and Russian popular culture. Earlier, those who published Belarusian books could rely on the Western sponsors. Not so much anymore - even the usually generous Open Society Institute closed its book publishing support project. To justify recalling the licence from the publisher Lohvinau, the Ministry had referred to a court decision which found “extremism” in a photo album Press Photo Belarus 2011. The album, which was published by Lohvinau, contains quite ordinary photographs of everyday life in Belarus. Some of them presented the prevailing reality in an implicitly critical vein - for instance showing a Belarusian conscript watching state TV news. Over the fourteen years of its existence, the Lohvinau publishing house printed around 700 titles, more than half of them in Belarusian. It effectively made Lohvinau a major privately-owned publisher of books in Belarusian. They also tried to stay away from any open political involvement. Not an easy task in Belarus where too many things have become "political," and from the regime's viewpoint - "extremist." Last year, the state agencies also halted the work of the Belarusian-language Arche journal – presumably because Arche touched on sensitive historical themes from the World War II and Soviet era Belarusian history. To eliminate Arche completely would be to create a void in the intellectual community. But a few months ago the authorities allowed Arche to be published again. This means that Belarusian publishers have to obey the countless rules, both formal and informal, that have been established to avoid "political" issues. State repression renders serious damage to an already fragile and vulnerable domain of Belarusian-language culture. Its ability to recover remains very limited. The market of Belarusian language publications has either decreased or stagnated since 1990s. We found no comprehensive data on the book market in 2012, yet the 2011 statistics illustrate the situation well. Only one book in Belarusian came out for every ten books issued in Russian in 2011. Two years earlier, the situation looked better: Belarusian-language books made up 14% of titles and 23% of total circulation of books published in the country. The situation does not worry the state authorities. The state media and officials have kept silent as they did in 2011 when the total circulation of books in Belarusian fell by 27.5 per cent in comparison to the previous year, while the circulation numbers of Russian-language books remained the same. The predominance of Russian language books, media and cultural products in reality is even more overwhelming than these numbers indicate. Cultural and media products in vast quantities comes from Russia itself. Moreover, taxes on books publishing in Belarus are heavier than in Russia, as Belarusian publisher Zmitser Kolar explained in his interview Novy Chas daily. It makes books from Russia – usually in Russian – cheaper. Belarusian-language books continue to become more expensive due to their smaller circulation – they have a much more limited audience. Given these circumstances, in early the 1990s, the government did not tax the Belarusian language and children books at all. Now the state created circumstances in which Belarusian culture, as far as books and media are concerned, have few chances to be profitable. Despite this, book publishing in Belarus has become primarily a private business. In 2009, the Belarusian Ministry of Information admitted that it was private publishers who produced the majority of books in Belarusian. The government deals with Belarusian-language books in the way that it normally handles private initiatives supporting the Belarusian language - just like it did the Budzma public campaign. Essentially, it allows private persons do their business as long as no politics are involved. Yet the state avoids providing any meaningful kind of support. Any sign of even potential political engagement becomes a fatal omen for every campaign or organisation. Of course, the Belarusian language's culture grew increasingly linked to the segment of Belarusian society which supports the opposition. In fact, the Belarusian language-based culture has provided a powerful backbone for many people who disagree with Lukashenka's rule. On the other hand, this reality contributed to the stigmatisation of the Belarusian language by the officials and Lukashenka himself has openly ridiculed Belarusian speakers. At least some foreign donors supporting civil society and democratic values in Belarus initially understood this situation and allocated money to support Belarusian language culture in general and books in particular. This includes Pontis and the Stefan Batory Foundation who support Arche magazine and its publishing initiatives. Unfortunately, this situation has deteriorated drastically in recent couple of years, as several people working in the publishing industry, who wish to maintain their anonymity, have reported to Belarus Digest. According to them, the new generation of donors fail to understand that supporting books in Belarusian is not simply cultural philanthropy but helps to provide Belarusians with cultural foundations to pursue change. Still, last year the Open Society Institute closed its special Belarus Project which for years provided publishers a means to publish Belarusian books. Over the recent years, Lukashenka has publicly spoke in the national language only a couple of times. The Belarusian language has become rarity on TV and in public events in stark contrast to even Soviet times. Of course, the state still supports the publication of books considered to be Belarusian classics to published for schools and holds yearly the Day of Belarusian Writing in September to celebrate the first Belarusian book in published by Francysk Skaryna in 1517. The evident ad hoc political and economic Belarusian nationalism of Lukashenka and his retinue contrasts sharply with the essentially Russian cultural foundation of his regime. It prevents the establishing of firm foundations of Belarusian statehood and makes the country vulnerable in face of foreign pressure. In these circumstances the Belarusian people need a cultural alternative, a different system of cultural coordinates, which is precisely what Belarusian language-based culture offers. Moreover, the opponents of the current government need this cultural basis to expand its political and intellectual influence. To support Belarusian language-based culture means investing in long-term changes and development which may prove to be as effective or even more effective than financing political actors.